At Avenida, we recognize that our active residents want to stay engaged with the local community, and we want to support them in doing so. We also want to support the local economy by driving business to nearby shops, restaurants, and organizations. Our Avenida Good Neighbor Program is designed to accomplish all this. 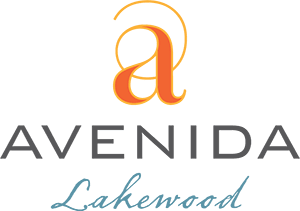 If you are a local business or organization that would like to partner with us, we ask that you create a special discount or promotion for Avenida residents. In turn, your business/organization profile will be included in our Resident Handbook given to each new Avenida resident. Plus, your information and logo will be listed on this website and in other marketing materials. When our residents visit your business/organization, they will show their Good Neighbor membership card to receive their discount. To become a Good Neighbor partner, click here to download a digital application. Please complete the application and email it to Info@AvenidaLakewood.com.